When I received the Blue Cross Blue Shield Association’s 2015 “Investing in America’s Health” report recently, the title struck me. Specifically, the word “investing” started me thinking. The report outlines the combined community impact of the 36 Blue Cross and Blue Shield (BCBS) companies and their foundations across the country. Seeing the combined data is impressive; BCBS companies, collectively, are making a major impact on the quality of life for individuals, for entire communities and for our country. But there’s a reason why we refer to these community supports as investments rather than simply donations. When you make a donation, you’re doing something kind to improve a situation. People make donations because when they see someone in need, they’re compelled to give. Investments, on the other hand, are different. When we make an investment, we expect a return. We want to get back more than we put in. This is the whole idea behind “Investing in America’s Health.” And it’s the same idea behind what our company is doing here in North Carolina. At Blue Cross and Blue Shield of North Carolina (BCBSNC), community investments are made both through our company’s community relations outreach and through our independent philanthropic affiliate, the Blue Cross and Blue Shield of North Carolina Foundation. On the community relations front, these investments produce some dramatic returns. 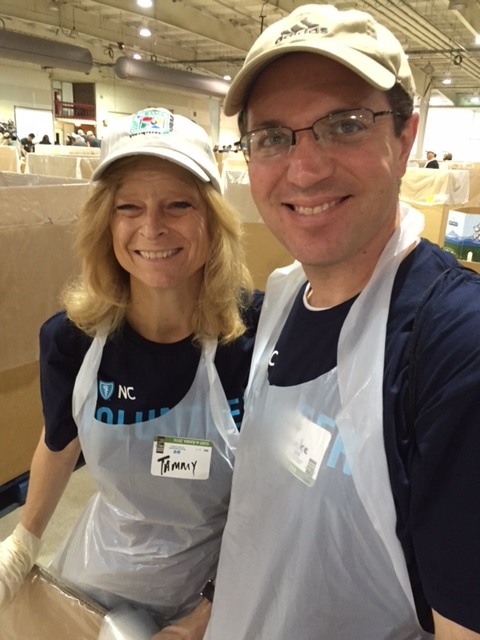 When our employees volunteer for the annual Sort-a-Rama effort, we end the day with 175,000 meals packaged for families that need assistance in North Carolina. 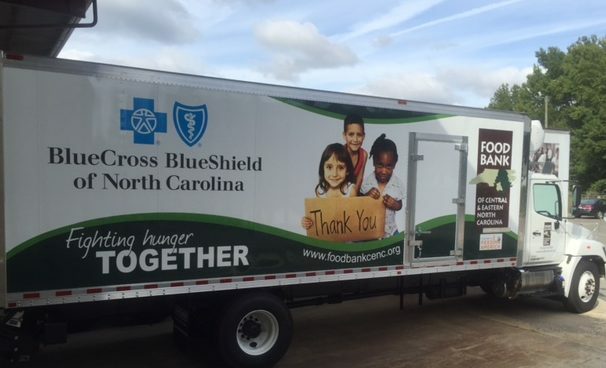 Our investments in four food banks across the state include the installation of expanded refrigeration and freezer areas, as well as refrigerated trucks to expand the distribution of healthy fruits, vegetables, meat and dairy products in 82 counties of North Carolina. We were proud to help MANNA Food Bank in Asheville recently install a new cooling space, allowing for increased storage capacity so they can keep more nutritious food longer. When we build a KaBOOM! 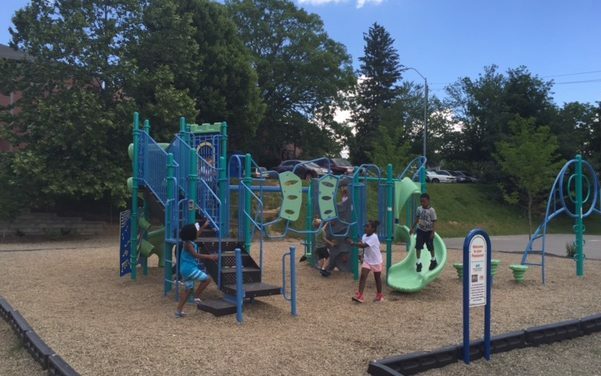 playground over the course of a few hours, we see neighborhood children engaging in healthy outdoor recreation in an inclusive and welcoming environment. We invest in North Carolina nonprofits who provide a range of vital community services: Care Ring, providing health care to those who can’t afford it; the North Carolina Diaper Bank, giving free diapers to families in need; Dress for Success, offering professional attire and job interview coaching for mothers seeking employment; Bridge II Sports, organizing sports competitions for wounded veterans. All of these investments generate returns not only locally, but throughout our state. For North Carolina to thrive, all who live here must thrive. When a hungry family is able to eat three nutritious meals a day or when North Carolinians are leading more active lifestyles, this is a better place to live for all of us. Our mission is inclusive. We’re working to make life better for everyone in North Carolina, not just the people who have a Blue Cross insurance card. We’re proud to stand with the other Blue Cross companies that are investing in America’s health in so many different ways. And we will continue to make investments in North Carolina communities that will bring returns to all who call this state home.